Experience Innovation, Quality & Reliability. Experience Leichtbau. For more than 60 years the Bucher Group has been recognized as a premier supplier in the aircraft interiors market. The lightweight-construction (also known as Leichtbau) specialist is poised for another positive year in 2015 with the planned introduction of many compelling new products. 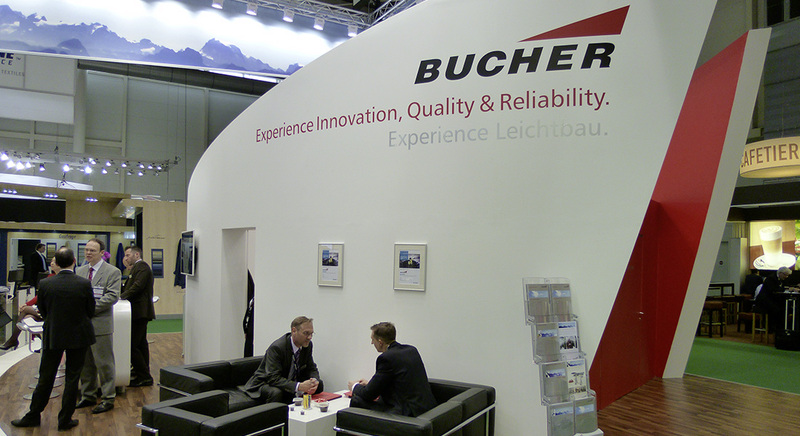 At this year’s Aircraft Interiors Expo, Bucher will be showcasing a seamless integration of many of their products. The designs include the well-known, lightweight and reliable Bucher-Galley with focus on high-grade appearance and flexible branding possibilities. A new and innovative monument which combines two different proposes and thereby saving valuable space in the cabin will be launched. Also on display will be a variety of sleek In-Flight-Entertainment and Tray Tables Deployment systems with improved reliability, simplicity and feel. Lastly, Bucher’s Air Transport Stretcher, which is certified for most Boeing and Airbus aircraft and soon for the A350, can also be viewed at the Show. As the aerospace industry strives for customization while meeting quality requirements, the Bucher Group is able to respond with innovative and reliable designs. At this year’s Aircraft Interiors Expo, experience first-hand Bucher’s new and exciting product launches that bring innovation, quality and reliability together.